A Los Angeles County drug bust resulted in the seizure of $6 million worth of marijuana plants and two arrests. According to a news report in the Los Angeles Times, the arrests occurred in Diamond Bar and Hacienda Heights. Officials served three search warrants and located more than 2,000 marijuana plants and 20 pounds of marijuana. Additionally, officers determined that electricity was being stolen from California Edison to grow the plants. A 43-year Rosemead man and a 45-year-old San Jose were booked for the marijuana-growing operation. Cultivating marijuana in California, in any amount, is a felony. According to California Health and Safety Code 11358: “Every person who plants, cultivates, harvests, dries, or processes any marijuana or any part thereof, except as otherwise provided by law, shall be punished by imprisonment in the state prison.” In some cases, however, individuals can face lesser penalties if they can prove that they were cultivating the plants for personal or medical use only. In California, it is legal for cooperatives to grow marijuana for medical purposes; however, marijuana is still a banned or controlled substance under federal law. California federal districts continued their crackdown on the commercial trade of medical marijuana in the Los Angeles area by arresting six people associated with medical marijuana dispensaries. According to a Reuters news report, the six people arrested are associated with G3 Holistic Inc., which operates three dispensaries in the Inland Empire. The arrests reflect the growing confusion between a state law that allows medical marijuana and federal law that prohibits the possession or sale of cannabis. Until recently, the arrest of medical marijuana operators in California has been rare. It is unclear what these recent arrests mean for other medical marijuana dispensary owners and operators in Los Angeles, Orange, and Ventura counties. In 1996, California became the first state to allow the use of marijuana for medical purposes. Now, 17 states and the District of Columbia have approved the sale of medical marijuana. However, marijuana penalties continue to be quite severe. In fact, selling or delivering any quantity of marijuana is illegal in California and punishable by two to four years of incarceration. It is also a felony to possess any amount of marijuana with the intent to distribute in California. There is also a discrepancy in state and federal laws when it comes to medical marijuana. While using and growing marijuana for medical purposes is legal in California, it is illegal under federal law. Anyone facing marijuana charges in California would be well advised to take their case seriously and to contact an experienced criminal defense attorney who is extremely knowledgeable about state and federal laws relating to marijuana. The reputed drug crime defense attorneys at Takakjian & Sitkoff have a long history of handling marijuana cases locally. Please contact us at (866) 430-8383 if you or a loved one has been charged with a marijuana-related offense. Los Angeles County Sheriff’s officials arrested two men after they found about 1,000 marijuana plants at various stages of growth in a Diamond Bar residence. According to a news report in The Diamond Bar Patch, the drugs were estimated to have a value of $4 million. Deputies apparently received a tip that marijuana was being grown at a home in the 24000 block of High Crest Drive. Authorities issued a search warrant and found the elaborate growing operation. Officials estimate that the operation may have been running for as long as three years. Marijuana laws are extremely complicated in California because California is one of the few states where voters legalized the use of marijuana for medical purposes through Proposition 215. Individuals who have a medical marijuana card and who follow the program’s strict guidelines cannot be charged for drug crimes. Under the law, card-holding users of medicinal marijuana may possess up to six mature plants, 12 immature plants, and 8 ounces of dried cannabis. These laws vary from county to county. Medical marijuana users are also allowed to form cooperatives to cultivate marijuana for members. However, what makes these laws complex is the fact that marijuana, even when used for medicinal purposes, is illegal under federal law. Since medical marijuana in California became available, marijuana dispensaries have become a billion dollar industry. According to an October 8, 2011 report by Bloomberg, federal officials have promised to crack down on marijuana dispensaries in Southern California by going after property owners who allow these businesses on their properties. Federal officials say the California law permitting the cultivation and sale of marijuana for medical purposes is being abused. The Board of Equalization (BOE) reports that approximately 400,000 Californians now use pot on a daily basis. On November 5, 1996, Californians voted to approve Proposition 215 which allows the use of marijuana for medical purposes. Starting the next day, California Health and Safety Code 11362.7 – 11362.83 removed state-level criminal penalties for medical marijuana use. However, marijuana remains on the federal government’s list of controlled substances. In California, patients who have been diagnosed with debilitating illnesses, such as cancer, may have marijuana prescribed to them to offer some relief from the pain and suffering they undergo. Many also choose to use marijuana instead of other prescription medications to alleviate problems such as back pain. Anytime there is a crackdown on drug use, there is the potential for innocent individuals to face wrongful charges. Dispensary workers and owners are facing harsh penalties despite having facilities that follow the many required rules and regulations. 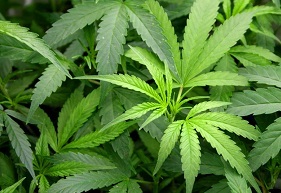 Users who are legally prescribed marijuana may face wrongful charges during the crackdown as well. Anyone charged with a marijuana crime in Los Angeles would be well advised to discuss his or her case with a skilled drug crime lawyer. A 23-year-old Los Angeles man faces multiple drug charges after officials found bags of marijuana in his vehicle. According to a news report in The Redding Record Searchlight, the man was travelling from Tehama County back to Los Angeles when officials pulled him over for not having a front license plate. The man apparently told officials that the marijuana was for his own personal use. He has been charged with transportation of marijuana for sale. Transportation of a controlled substance is a serious allegation that carries heavy penalties. An individual need not intend to sell the drugs to be charged with transportation. Mere possession of the controlled substances could result in these serious charges.